Recently, I had the opportunity to meet with David Chavez at Avaya’s Colorado Executive Briefing Center. David is the CTO in the World Wide Sales Organization. He was promoted into this position in April of 2011. He played a major role in architecting and creating Avaya’s most strategic product, Avaya Aura. 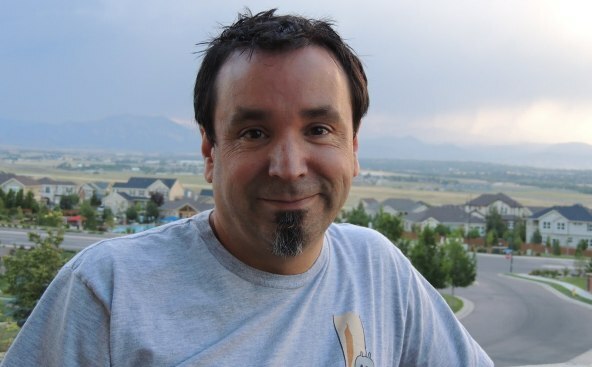 David is based in Colorado, an AT&T, Bell Labs, Lucent, Avaya alumnus for the past 23 years. He holds 62 patents, a B.S. degree in Computer Science and Mathematics from New Mexico State, and an M.S. in Mathematics from Colorado State. His areas of expertise include designing for reliability and redundancy, mobile network convergence, and IP Communications architecture. Outside of communications, David enjoys classic rock, science fiction, and wrangling the remote to the home theater from his two teens. DM: How do you spend your days as the CTO at Avaya? DC: As CTO, I’m responsible for Avaya vision, help with portfolio planning, business strategy, competitive concerns, and customer engagement. I have a team that projects this to our customers and partners and does the day-to-day interaction with our development and product teams. DM: Most Avaya presentations I hear talk a lot about SIP, but your work has been more around Session Management. Can you clarify where SIP ends and Session Management begins? DC: SIP is a signaling standard no doubt, but its style is a bit different from any of its predecessors. SIP initially aimed to be more flexible and at the same time simpler, and it partially achieved that goal. The flexibility can be easily demonstrated by the extensions that have been generated in the SIP standards bodies. However, that flexibility also makes it more difficult to interoperate, especially when it creates multiple ways to do the same thing. Similarly, simplicity was attempted with an ask-answer model, but some things are not naturally suited for that model, such as establishing or changing a conference. There were many problems early on with telephony 101 concepts; for example, how do I end a session when the signaling path is gone? Lastly, some of the creators of SIP were a bit philosophical with it, as the initial definition hinted that the preference was towards peer-to-peer SIP. The problem with peer-to-peer SIP in my opinion is that each component needs to be very complicated to handle all the potential methods it might see, and very knowledgeable so it knows what it should or should not do. The result is that while simplicity in signaling is achieved, simplicity in the system is not. Session Management is an architectural style for SIP born to address system simplicity. This begs the question of whether Session Management can be applied to other signaling protocols. Session Management establishes a relationship between a user (and their myriad devices) and the services that user has. Additionally, Session Management monitors and adjusts how sessions are created and maintained within a domain. The relationship portion implies a 3-tier architecture: application, session (or connection), and access. The control portion implies the ability to understand what sessions are going to link (think geography and specific constraints in connecting media between specific geographies). My concept of Session Management and Avaya’s is strongly based in IP-MultiMedia-SubSystem [IMS] principles. DM: So you are saying that Avaya’s view of SIP is broader than the current standard. Isn’t that effectively making an industry standard proprietary again? DC: I would say that adhering to IP-Multi-Media-Subsystem [IMS] principles and interfaces makes the solution standard. The approach reduces stress to add proprietary extensions. Let’s honestly look at SIP for a moment: Great IP protocol for signaling connections, simply specified. Unfortunately, underspecified. Most vendors have Balkanized SIP with proprietary dialects to overcome that. So everyone can say they are standard and show a list of RFCs they adhere to–everyone. Yet, because of the different extensions, the only interoperability practically achieved is very basic. I think IMS greatly helps and it is a 3GPP standard. I also think the emerging HDVC carrier standard will greatly help. DM: Do you foresee emerging standards around session management? DC: Since SIP is flexible enough for many different styles, I do not see a Session Management standard outside of the 3GPP IMS standards. DM: Why do you think enterprises are turning to consumer grade devices and services for communications? Is it the new normal, or a temporary response to technology transitions? DC: The fact of the matter is that the consumer innovation engine operates at a higher speed than the enterprise innovation engine. For many years this did not matter as much, as the technology transition curve was typically 20 years. This curve is compressing and may end up being anywhere from 7 to 15 years. It puts pressure on the industry to adopt. Secondly, the innovation has resulted in generalized platforms: smartphone and mobile computing tablets. The fit-for-purpose element can now be software. In the enterprise domain, the fit-for-purpose element was often hardware. These characteristics are driving the transition you observe. I would say it’s a new normal and likely to accelerate. DM: Does that mean BYOD is here to stay? DM: When it comes to addresses, email and telephone numbers provide the only two universal and interoperable solutions. When do we get this for IM or video? DC: I don’t think this will matter much in a few years. You should be able to address someone by any unique handle (phone number, email address, social network ID, etc) and indicate the method you wish to invoke (call [voice or video], instant [text, voice, video], message [text, voice, video]). So you will be able to IM, voice, video or text to any handle. This is one of the main functions of a federation service, and Avaya posits the creation of a Federated Exchange. DM: What you mean by Federation Exchanges? DC: A Federated Exchange is a service that securely associates sessions in one domain to sessions in other domains. To make this easy and natural, it provides interworking between SIP dialects and codecs. Additionally, a federated exchange provides a means for controlling reach and visibility of its subscribed users. To address privacy issues, it is inherently opt-in and individually-focused as opposed to enterprise focused. To increase its relevance to the subscribers, it allows them to create additional characteristics about themselves that could be useful to the parties with whom they interact. For example, a user may want to include their home address. When they move and wish to change it, the federated exchange will securely update every party that the user previously defined as an appropriate recipient for that characteristic. Those parties could be businesses or people. Presence can operate in much the same way: they could allow their presence to be shared with their friends and the bank but not with the HOA [homeowners’ association] or another tangentially connected acquaintance. DM: When, if ever, do you see video communications as the normal or default communication model? DC: I think based on the answers to the previous questions, you get video first on the consumer side. I believe it will happen. You see an interesting dynamic with the generation of people entering the workforce. They will text prodigiously, they have no qualms of video interacting with almost anyone, and they tend not to pick up a phone. So video, two-way and one-way, will pick up traction in C2C, then C2B, then B2B in my opinion. DM: We have been switching to VoIP for about a decade now, but most of it is invisible to the end user–that is, phones still pretty much work like they did 50 years ago. The technology is totally different, but not the user experience–when does that change? DC: It’s already begun to change. That VOIP phone supports wideband voice, so the quality of the conversation can actually be better than anything the user experienced previously. Soon, VOIP calls can be end to end encrypted even if the other party is on another domain. The user can be given a lock signal, another thing they have not had previously. Imagine an innovative service called retro-active call recording and transcription. A person could realize after a number of minutes of conversing with someone that they would like a record of the conversation. At that time they request a record and transcription via a menu and button push. The service requests the consent of the other parties. If granted, then it would email or via web portal give access to the originator (or any of the parties on the session) the recorded session and its transcript. Also, new models are now possible. Think of the Avaya Flare interface to initiate and manage collaborative sessions, especially if it is multi-party. It is early, but the change is beginning. DM: What drives upgrades? Why are customers upgrading from TDM to SIP, or from early VoIP to newer VoIP? DC: The motivation for upgrade is always in the eye of the customer. Sometimes, it’s because the age of the equipment is a concern, lack of spares, the need to expand. Sometimes businesses see that rivals are using more advanced technology and become concerned about the competitive advantages it might yield. It’s staggering to think about what the technology is capable of now compared to what was state of the art 10 years ago. SIP gives the ability to communicate flexibly using new modalities while escaping the tight proximity of a TDM PBX. Unlike early VOIP, the solution is no longer just IP dial tone, it provides multi-modal multi-media personalized collaboration on a number of devices including popular consumer platforms. The motivation to upgrade is certainly there. DM: Avaya has recently entered the cloud space–do you see this as just another product/service or is it fundamentally different for Avaya? And if so, how? DC: Its fundamentally different in the sense that we didn’t have public cloud offers previously. In another sense, it is just a different delivery and monetization model. The underlying technology is much like what is used on premise with appropriate service wrap for cloud instantiation. I see this model as fundamentally important for smaller businesses and as an application and service augmentation strategy as it evolves. DM: What are your views on social networking and its role in enterprise communications? DC: Social Networking is certainly more focused on the consumer than the worker. At the same time you see some social networking aspects being added to Salesforce.com. You see the relevance of LinkedIn. The general social network paradigm allows for long-term conversations that involve groups. This is an interaction–actually, a collaboration–style that is very awkward in email or via SMS. It is certainly geared to some enterprise collaboration use cases and I expect to see more innovation around it. DM: What do you use the most for communications when you are away from your desk, and why: iPad, Smartphone, or Avaya Desktop Video Device? DC: I use an iPhone if am in a car, train, plane. I use an iPad with the Avaya Flare client if I’m in a hotel room or working from home. I find the form factor of the iPhone is much better suited to times where I’m likely to be moving around. In contrast, the iPad is a great form factor when I’m in one place and can appreciate the additional screen real-estate. DM: I understand you are a collector of rare science fiction memorabilia. Can you share some information about your prized possessions? DC: I watched “Lost in Space” reruns in syndication as a kid. I discovered that even before “Star Trek.” I have a very rare metal illuminated model of the Jupiter II. Recently, I enjoyed the run of the reimagined BattleStar Galactica. It’s my favorite TV show ever, nothing else is even close. When the show ended, the studio auctioned off most of the sets and set pieces. I was lucky enough to acquire the “Arrow of Apollo.” I smile everytime I see it.